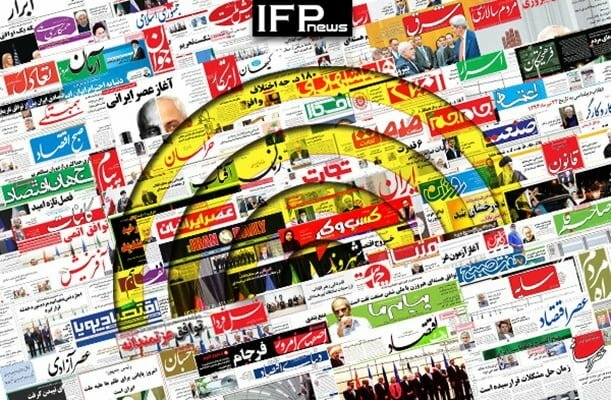 IFP has taken a look at the front pages of Iranian newspapers on Thursday, December 13, 2018, and picked headlines from 14 of them. IFP has simply translated the headlines and does not vouch for their accuracy. The top story in all papers today was the remarks made by the Leader of Iran’s Islamic Revolution Ayatollah Seyyed Ali Khamenei about the failure of the US plot to create chaos in Iran. Also a top story was comments made by President Hassan Rouhani about the Paris Climate Agreement, which were interpreted by Iranian media as a sign of his government’s bid to withdraw from the deal. Newspapers also covered the declining rates of US dollar in the unofficial market, and the UK parliament’s session to give vote of confidence to Prime Minister Theresa May. 1- What’s Happened to Iran’s Forex, Gold Coin Markets? 1- Will Rouhani’s Government Leave Paris Climate Agreement? 3- From Cool Summer of Iran to Hot Winter of France!